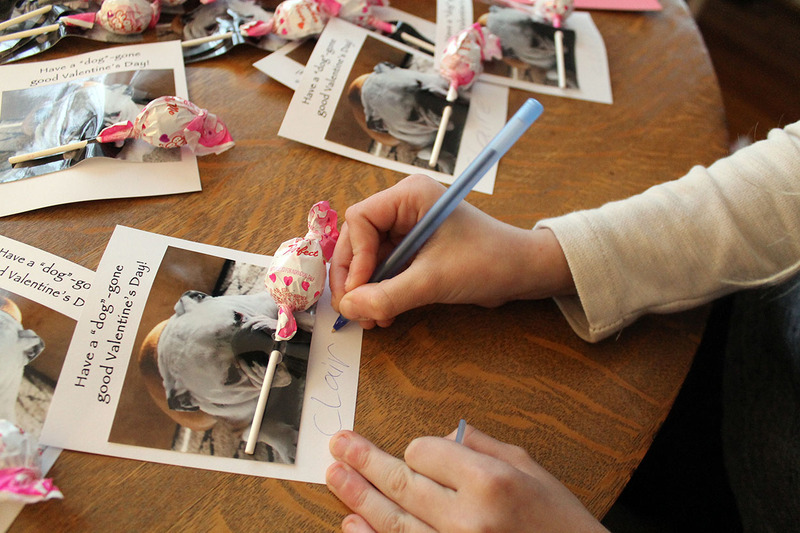 We have a tradition in our family of making our own valentine cards. I’m not sure how it started, but I can’t ever remember purchasing the store-bought cards. 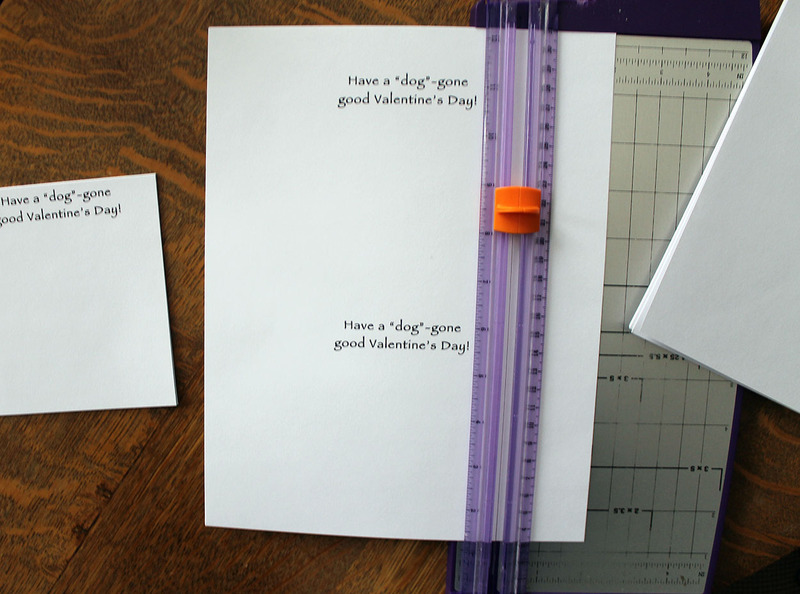 Over the years, the girls and I have used doilies, stickers, glitter and the sort to create valentines to exchange with their classmates. They must have candy attached to them. 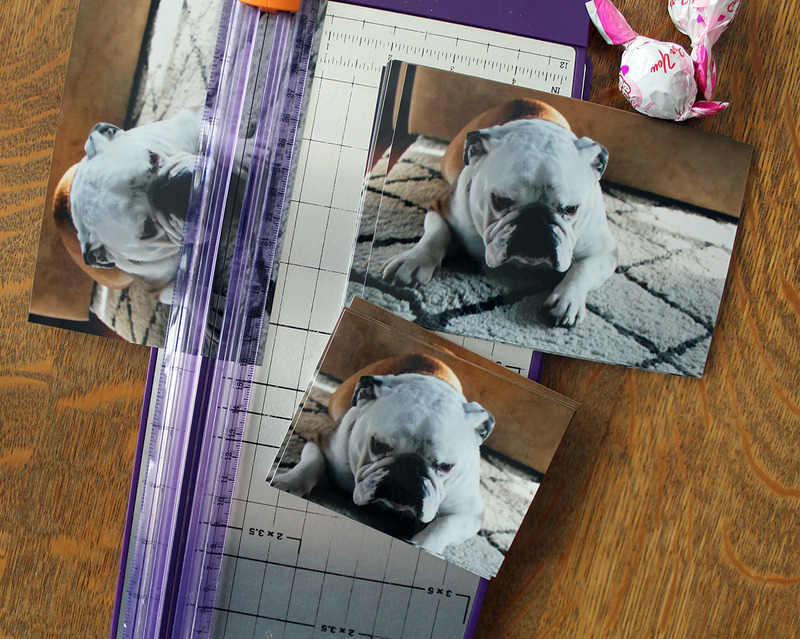 We need to use a picture of our English bulldog, Cece. 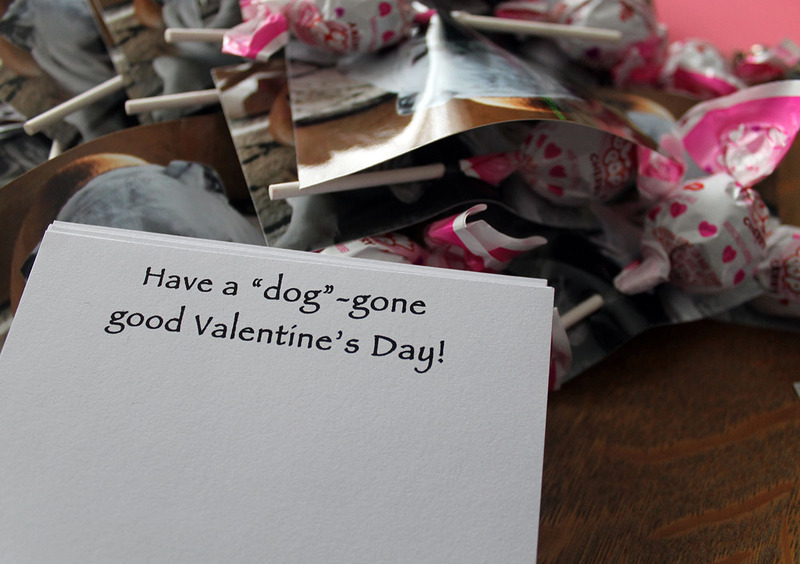 I think these “dog-gone good valentines” fulfill both those requirements! The hardest part was getting Cece to pose for the picture! Once that was accomplished, we had several copies of the picture printed. 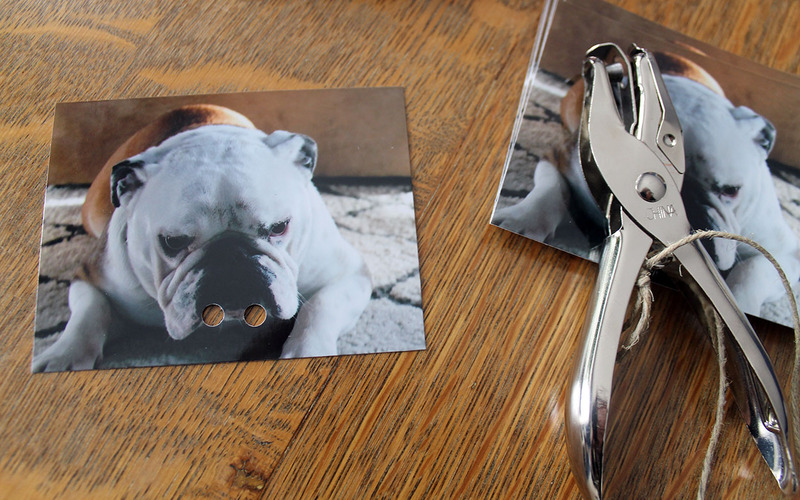 Then, we trimmed the pictures using a paper cutter. 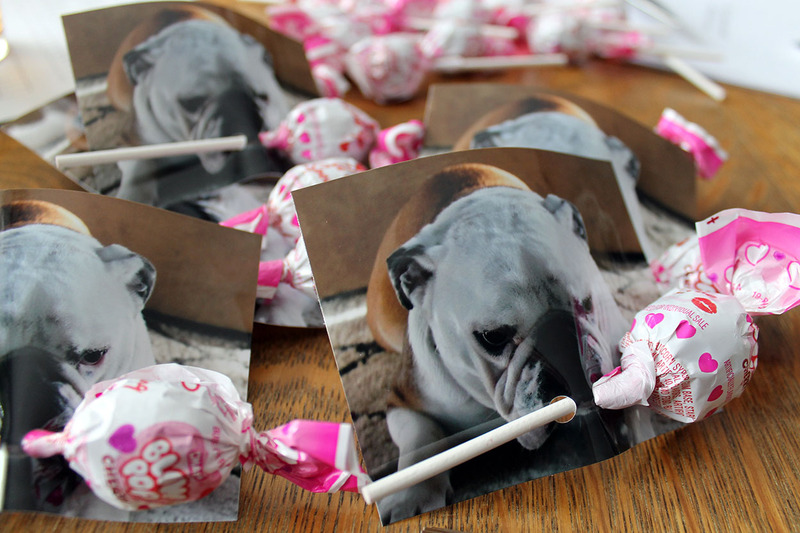 Using a hole punch, we punched two holes near Cece’s mouth and slid the lollipops through them. It should look like she has the lollipop in her mouth…kind of like a treat or a dog bone. I printed the words for the cards on white card stock, and then trimmed those to fit once the picture was mounted on them. Once mounted on the white card stock, C signed her name to them. We finally mounted them on pink card stock, just to add a bit more color. 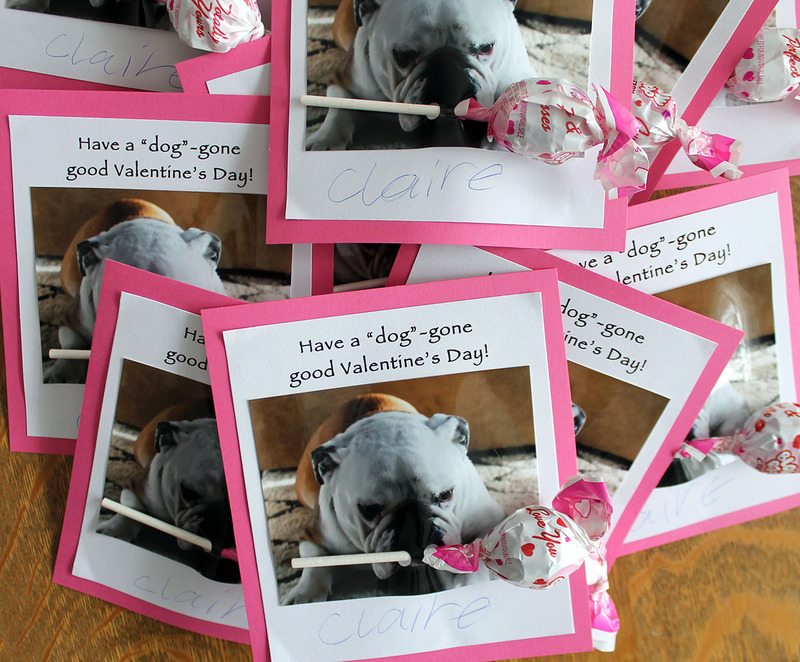 She just loves these cards and she’s so excited to exchange her “dog”-gone good cards with her classmates at the Valentine’s Day party at school! So cute!! I love these! 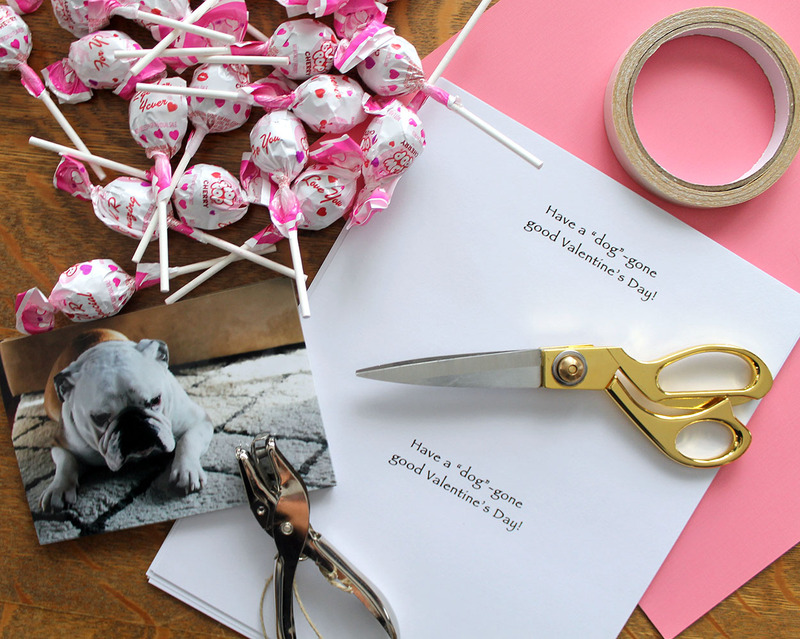 Makes me want to send Valentines to people! I know! She’s my last one…only a few more years of this (sniff, sniff). This girl LOVES her dog!